Note that our worship schedule for Holy Week is different. See the Holy Week schedule just to the right! Header photo is "Somewhere in the Mojave Desert" by Motographer, under CC BY-NC-ND 2.0 / Cropped, text added. 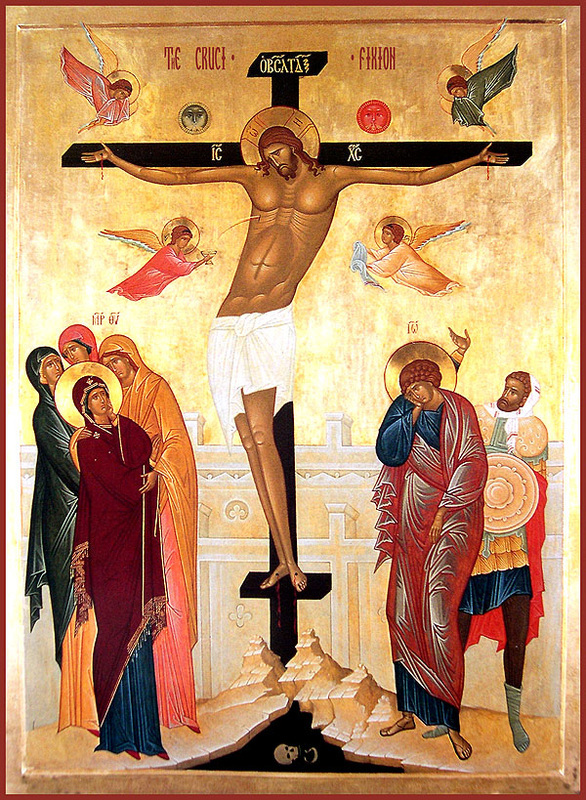 Good Friday City-wide Stations of the Cross - 3 April, noon. We depart from St. Andrew's and arrive at Sacred Heart Roman Catholic parish. Wear comfortable walking shoes! Modern Community. Ancient Faith. St Andrew's Church. Come to meet Jesus Christ with a Christian community that is ancient, yet modern; rooted in the mystery of God, yet connected to the reality of our lives. Whether you're a life-long Christian searching for a new church to call home, or you're feeling lost or curious about your spiritual life, we'd love to meet you. We are followers of Jesus Christ, but our church is named after St. Andrew. Learn about Andrew here. Are you wondering about Jesus Christ? Are you wondering what we Episcopalians think about Jesus Christ? We've got answers for you! The Apostles' Creed and the Nicene Creed are the summaries of our Christian faith. Learn about them here. Worship is the heart of our spiritual life. Find out when we worship, and what our services are like. Preparing for confession? Or just want a tool for exploring your actions and attitudes? Download a PDF of the Self-Examination from St. Augustine's Prayer Book. First time visiting St. Andrew's? First time visiting a Christian church? Don't worry - there's a whole section just for you. Learn about how Episcopalian Christians understand God, creation, the church, sin, redemption, prayer, and other topics. It's all in something called the Catechism. Weather? No matter how bad the weather is this winter, our doors will be open for Sunday worship. We can't guarantee the parking lot or the sidewalks will be clear though. Use your judgement and be careful.